Roasted Brussels Sprouts are a wonderful side dish for any meal! I have been making this recipe for years and it always is a hit! It’s actually my most requested recipe when I host dinner parties for friends and family. It’s so easy, but the results are wonderful. 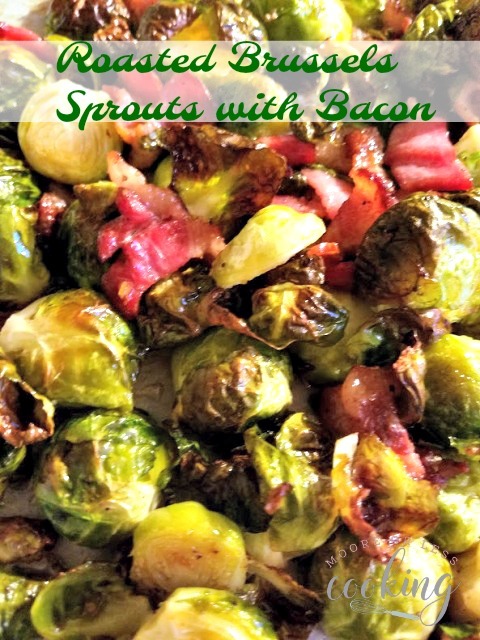 Just trim the ends of the sprouts, cut in half, place in a bowl, drizzle with Olive Oil, 3 pieces of thick bacon chopped up, and salt and pepper to taste. My family is from the South and I grew up eating meals of fried Chicken, Cornbread, Black Eyed Peas, Cobblers and Pecan Pie. 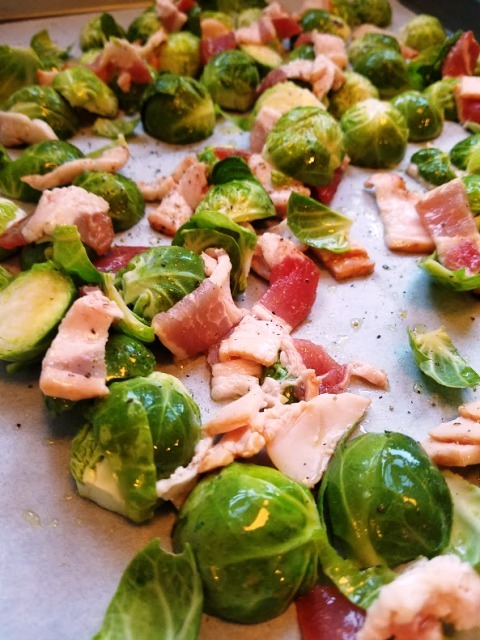 My Great Grandma always served a side dish of roasted Vegetables such as Roasted Brussels Sprouts. I think that you will enjoy this recipe as much as my family enjoys it! This recipe is from my grandmother. I added the bacon to her recipe, because you know, everything tastes better with bacon! The Brussels sprouts should be brown on the outside when done. Any leftovers can be reheated or even just eaten cold from the fridge. 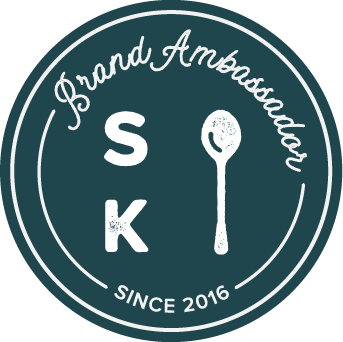 They taste sweet and salty at the same time! Roasted Brussels Sprouts make the best side dish for holidays or anytime. Make sure you make enough, everyone always wants seconds. 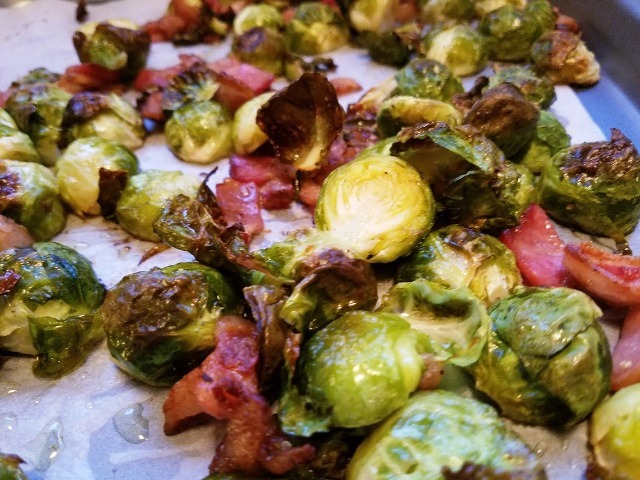 Place trimmed Brussels sprouts, olive oil, kosher salt, and pepper and bacon in a bowl, using a spoon, gently mix until olive oil covers brussels sprouts. Pour onto a lined baking sheet with foil or parchment paper, and place on center oven rack. Roast in the preheated oven for 25-30 minutes, shaking pan every 5 to 7 minutes for even browning. Reduce heat when necessary to prevent burning. Brussels sprouts should be darkest brown, when done. Adjust seasoning with kosher salt, if necessary. Serve immediately.